Keep your home warm, quiet and safe with new windows from Anglian. Our uPVC windows, wooden windows and aluminium windows come in a variety of styles and colours to suit your home. Save on your heating bills with durable, A-rated double glazing as standard with long guarantees. British-manufactured, low-maintenance windows built to last. Sustainably-sourced timber in a range of finishes and over 200 colours. Polyester powder-coated frames for a long-lasting finish that won’t corrode. Our best-selling style is a versatile choice for your home. Modern design technology with a clean and simple look. Casement panels that maximise light and space in any room. Designed for easy cleaning and superior ventilation. The perfect blend of tradition and energy efficiency. Add elegance and period grandeur to your home. What are the benefits of Anglian double-glazed windows? Replacing your single-glazed windows with double-glazed windows is an upgrade worth the spend. There are many benefits to installing double-glazed windows. They include retaining heat, reducing noise pollution and improving the value of your home. Our double-glazed windows are fitted with an advanced locking system to keep your property safe and secure. It’s time to release your inner designer and give your home a fresh lease of life. Our range of double-glazed windows are designed to keep your house warm all year. Two 4mm glass panes separate a 16mm cavity to reduce heat loss through your windows. Your home will be more energy efficient and you’ll save money on your heating bills. Our top-performing AA++ rated triple-glazed windows are a great choice to reduce heat loss even further. They are designed with the latest energy-saving glazing technology in mind. The safety and security of your home plays an important role in the construction of every Anglian product. Our windows are made from durable materials designed to withstand forced entry with tried and tested security features. Available in uPVC, wood or aluminium, double-glazed windows are fitted with key locking security handles and shoot lock bolts as standard. Glazing and beading our windows on the inside means the glass cannot be removed from the outside. This protects against forced entry and keeps the window firmly closed. A huge benefit of double-glazed windows is their ability to reduce noise pollution from outside. Double-glazed windows are crafted from two panes of toughened glass with a gap between. Sound travels in waves and when it hits the glass pane it reverberates. The sound wave vibrates both panes at the same frequency and deadens the sound. Our A-rated windows provide a sound protection level of 31db. If you live near a busy road or on a flight path, our Safe and Sound windows are the best option. Offering 36db protection, double-glazed casement windows keep the street noise where it belongs. Double-glazed windows are more attractive to buyers and can add value to your home. If you’re selling your home and don’t have double-glazing, it could prevent you from making a sale or even reduce the value of your property. Double-glazed windows can help reduce condensation in your home. Condensation will only form on surfaces cooler than the air, so if the surface of the glass is warmer, there’s less chance of condensation. Switching to Anglian A-rated double glazing could save you up to £255.84 a year if you upgrade from pre-2002 uPVC double glazing. This is based on GGF data for a typical detached house. Spread the cost of your new windows and doors with our low rate finance plan from 9.9% APR variable. Your windows and doors come with a 10-year guarantee and 15-year sealed unit guarantee. Find like-for-like uPVC windows and doors cheaper elsewhere within 7 days and we'll match the price. How long do uPVC windows last? Anglian windows are manufactured to British Standards. Our uPVC windows last around 20 years. If your uPVC windows are showing signs of cracking or chipping then your windows may need replacing sooner. We guarantee our window frames for 10 years and the sealed units for 15 years. If your Anglian windows show signs of damage before then, you can get them replaced under your guarantee. How much does it cost for double glazing? It’s difficult to provide a fixed cost for double glazing, as the price will depend on the individual requirements and specification of the home. 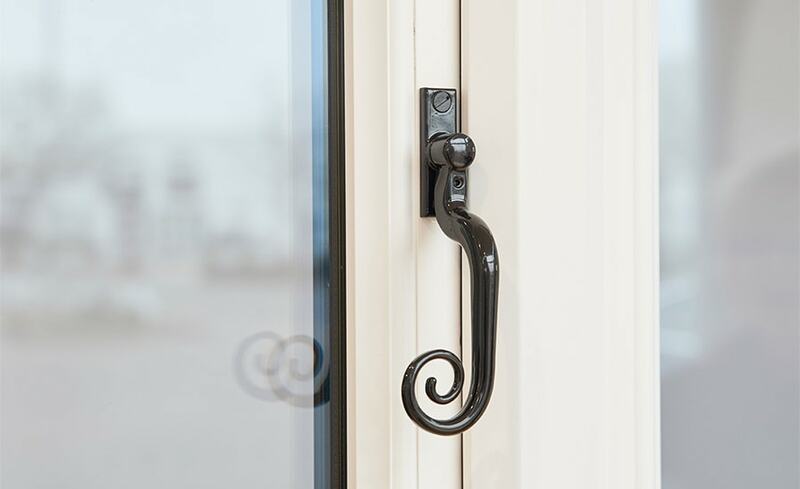 We provide a bespoke window fitting service, so the price is bespoke too. Request your quote here. Is triple-glazing better than double glazing? With the highest energy rating possible of A++, triple-glazing is the most energy-efficient glazing option on the market. It is at least a grade higher than double glazing. Triple-glazing is made from two panes of Low E glass and one pane of Low Iron glass. It is the best option for your home if you want to retain the maximum amount of heat and block out noise. PVC is a lightweight plastic that has special plasticisers added to it to increase its flexibility. It is used in a variety of everyday materials including packaging, electronics and even clothing. uPVC has no plasticisers added to it, so is strong and rigid. This makes it a great material to construct windows from. Do coloured uPVC windows fade? uPVC windows are durable, hard wearing and low maintenance. If correctly maintained in accordance with the manufacturer's instructions, there should be no noticeable fading to uPVC windows within our 10-year guarantee. Complete the form online and we'll call you to arrange for an Anglian design expert to visit your home. The visit is free and there’s no obligation to order. Your local design expert talks you through the options available and provides your free quotation. We’ll send a qualified surveyor to measure-up and make sure installation goes to plan. You’ll need to read and sign the paperwork. Assembled in Anglian’s UK factory, every product is made to order. You’ll receive updates via your preferred contact method as your order progresses. Your local Anglian team arrange a convenient time for installation. Our installers run through product aftercare and leave your home as they found it. We ask for payment when you’re satisfied that the job is complete. Should you need to use our aftercare services, we’ll do our best to make it right.